If you have a ridiculously high prescription like me, buying eyeglass frames is a challenge. It was for me, and after buying and refunding several pairs, I finally realized that using the B measurement (the frames height, where the number correlates to mm) would help me find small enough frames. (With a high prescription, just a few millimeters can make a big difference in the thickness of the lenses!) In any case, I'm very happy with this pair. I've always liked Kate Spade and bought the tortoise pink color, which is classic and cute. 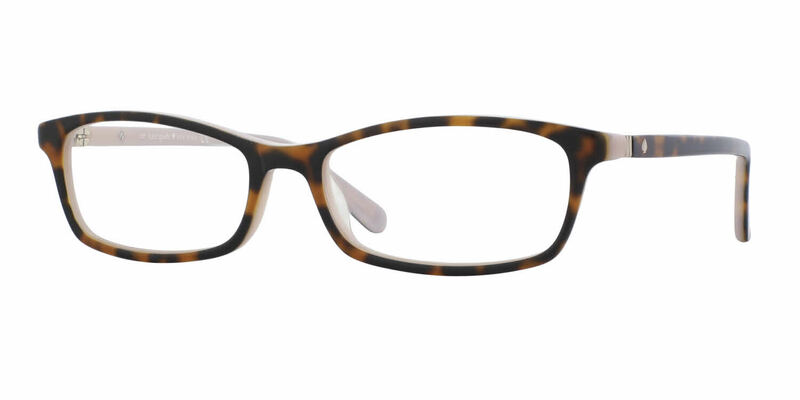 Great frames for thick lenses and small faces! I have worn glasses forever, and these are my new favorite pair. I'll be ordering an additional pair, in a different color. I got the progressives and they pit perfectly right out of the box. I love these glasses! This was my first experience buying glasses from Frames Direct and I wouldn't hesitate a second to buy another pair. These are the only pair of glasses that really fit me well, and I was extremely happy as to how they came out.